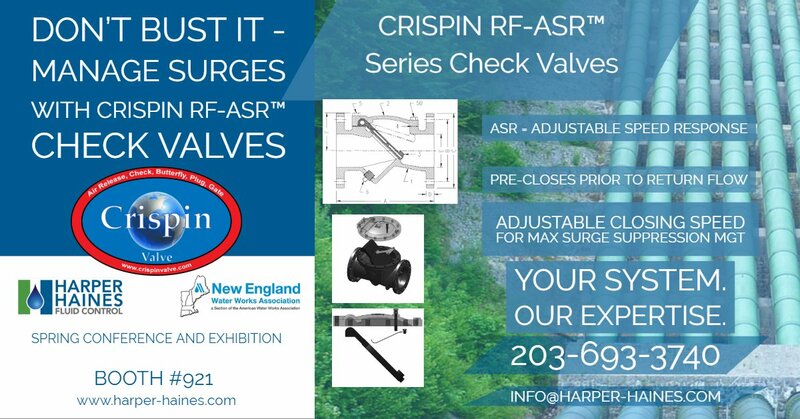 Crispin Valve Company, a 4th generation family owned company, is a leader in the industry with its complete valve line; Air Release, Check, Butterfly, Plug and Gate Valves. Begun in 1905 by founder and inventor CG Crispin, the Crispin Air Valve is synonymous with performance, longevity, and quality. Crispin ARVs are used extensively in nearly every application requiring the transmission of liquid and the simultaneous control of air presence. We are proud to add yet another indicator of our commitment to quality, service, and innovation in the Air Release Valve segment. Their valves are certified to NSF/ANSI 372 for Lead-Free Drinking Water Products, Materials and Components on it’s broad and industry leading line of AWWA C512 Air Release Valves thru 24″. Crispin manufacturers valves for water/wastewater, power, industrial, fire protection and HVAC applications. 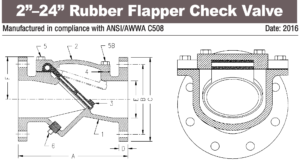 Most notably, Crispin also builds a Rubber Flapper Check valve. They include an option for adjustable spring return for the fast closing check valve, Model No. RF-ASR. The Crispin RF-ASR is an upgraded Surge Valve. 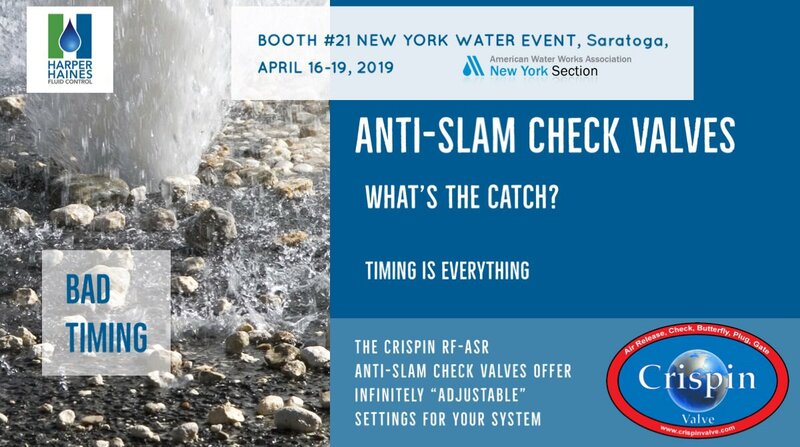 Extremely cost effective and simple in design, the “ASR” attachment substantially increases the closing speed of the standard “RF” check valve, thus reducing water hammer. The adjustable configuration employs the same simple flat spring, but also includes an Externally Adjustable Tension Screw for setting spring preload. The “ASR” can give you true adjustability without having to remove the top cover and place additional springs against the disc. The K-Flo series Plug valves with 100% Full Port in full compliance with AWWA C517 for use in municipal, power and industrial applications. 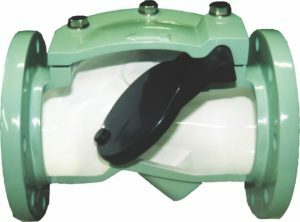 Butterfly Valves feature field-replaceable seats. 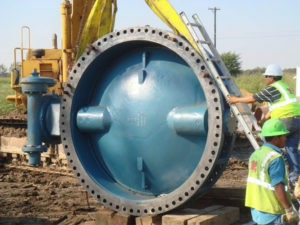 Our heavy duty butterfly valve line in full compliance with AWWA C504 and range from 3″ to 168″ for use in municipal, power and industrial applications. 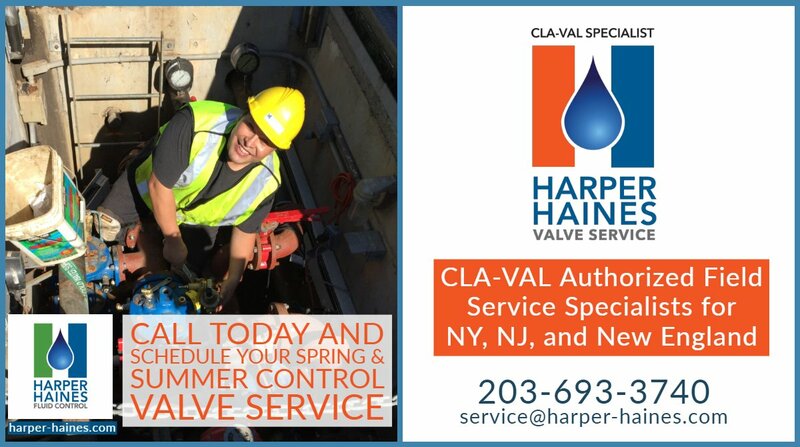 Harper Haines Fluid Control is the exclusive manufacturer’s representative in portions of New York, New Jersey, and Connecticut (the tri-state region) for Crispin Valve. 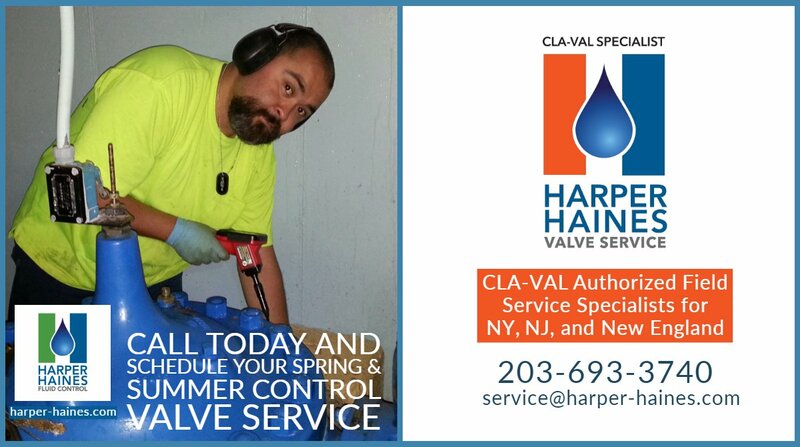 We handle all sales and service of Crispin Butterfly Valves, Plug Valves, Air Valves, Check Valves and Gate Valves. Crispin’s products are designed using leading-edge technology and enables us to offer a wider range of applications.